With wearable technology hitting the mainstream in the form of smart watches and fitness trackers, medical leaders and developers are also exploring its clinical potential. Newer wearables could offer a remote connection to patients, made possible through the continuous flow of data, as a new care management technique. Whether internists find wearables useful in managing patients, however, will depend on ever-elusive evidence, as well as on the individual physician. Health care delivery through the use of wearables, mobile phones, and other mobile technologies is called mobile health (m-health). Partners HealthCare in Boston and the Mayo Clinic in Minnesota use the term “connected health” to describe this remote connection between physician and patient. “We're trying to convert from episodic illness care to more continual monitoring and touch with our patients in a way that maybe we can prevent the decompensations that put such a stress on the system and on people's lives,” said Dr. Ommen, medical director of the Mayo Clinic Center for Connected Care. For dermatologist Joseph Kvedar, MD, vice president of Connected Health at Partners HealthCare, the concept is about extending the care process beyond the 4 walls of the traditional care setting and making health care a continuous function in patients' lives. “And we now, particularly with mobile [devices] and wearables, have the tools to really extend that to a day-to-day experience that's much more integrated into your lifestyle,” he said. 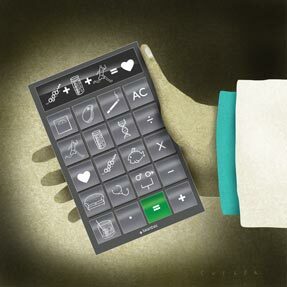 This connectivity enables physicians to offload tasks onto patients, Dr. Kvedar said. “I don't mean that to sound like we're dumping work on to our patients, but at the end of the day, you're much better off being your own doctor, taking care of yourself, being inspired to be your own best advocate, and connected health tools certainly allow us to build out that vision,” he said. Wearable monitors can be clinically useful because they can detect bodily changes that signify disease progression. For example, sensors that detect how much total fluid is in one's system can give clinicians warning when patients living with heart failure start to retain fluid, Dr. Ommen said. “If a device can give us warning ... we might be able to intervene with a slight increase in the dose of a medication ... rather than where it gets so bad that the patient finally is short of breath and they have to come in and get intravenous form of that therapy,” he said. Wearable devices could also offer people with diabetes the possibility of continuously monitoring their blood glucose levels and allow people with asthma or chronic obstructive pulmonary disease to measure their ability to exhale, Dr. Ommen said. Patients can take their at-home blood pressure readings with cuffs that are commercially available in the form of both medical- and consumer-grade devices, Dr. Kvedar said. The data are then automatically uploaded through a hub to the cloud, where physicians can view them, he said. “There's relatively good agreement now that monitoring in heart failure with a weight scale and blood pressure cuff is a care model that makes sense and adds value. ... We've used those personal health tools in care management, and we found them to be pretty good; we also learned that you don't necessarily have to have medical-grade sensors because sometimes you just need to understand how a patient's data is trending,” he said. Getting the data out of the sensor through hubs—data-collecting devices or software, such as Apple's HealthKit on mobile phones—is an area where much innovation is still happening, Dr. Kvedar said. For patients who don't use tablets or smartphones, Partners clinicians provide hubs that capture their information and transmit it through the Internet, he said. The connected health programs have been associated with improved clinical outcomes, Dr. Kvedar said. “We've published on blood pressure, we've published on diabetes, we've published on congestive heart failure—all positive outcomes in randomized controlled trials,” he said. And in a yet-unpublished study that looked at total cost of care, Dr. Kvedar said his team saw that overall cost of care for patients enrolled in a heart failure telemonitoring program was less than that for a similarly matched control group. Behavioral science lies behind much of the success. “What we know to date, based on research we've done, based on research others have done, is that objective evidence of your personal data is a very powerful stimulus to get your attention,” Dr. Kvedar said. And an automatic data upload is much more powerful than a patient-entered figure because it's an objective source of truth, he said. 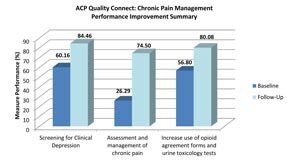 Also, a sentinel effect occurs when patients do better as a group proportionally to their interactivity with a clinician. Patients may want to avoid being perceived as not caring about their health when they know someone's monitoring, particularly when it's the doctor, Dr. Kvedar said. In the wellness and preventive health world, retail-market wearables can help clinicians understand how much activity patients are getting. However, it appears that most of the people who buy these devices and use them are fairly motivated and already “tuned in” to their health, Dr. Ommen noted. Dr. Kvedar said there's a growing interest among clinicians in using these wearables, mostly in primary care, because these technologies are well-suited for patient-centered medical home practices that are set up for routine-based care. 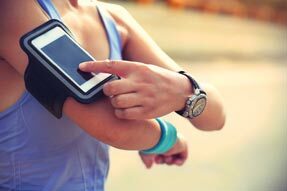 “We have a number of clinicians, not a lot, who are excited about using activity tracking as part of their practice, whether it be for cardiac rehab or obesity or other indications,” he said. On a patient level, early evidence suggests that wearables can be effective, said preventive medicine specialist David Katz, MD, MPH, FACP. “The literature on behavior change indicates that self-monitoring is among the effective strategies, and tech makes that both more efficient, and potentially even fun,” he said. However, with physical activity and weight loss, seeing what patients are doing offers insight in terms of guiding them, and contact is crucial to adherence, said Dr. Burke, who chairs the AHA's Council Operations Committee. 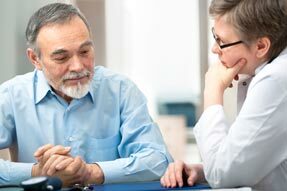 And feedback, whether it's from a conversation with a physician or from whatever app or device the patient is using, is important in behavior change and can be very effective at increasing motivation and sustaining a patient's adherence, she said. “So I think there's tremendous potential, but we just need to get it at a more acceptable level of science or be comfortable with whatever app or device that the person is using,” she said. Although very limited efficacy data are available, lack of evidence does not mean m-health tools don't work, Dr. Burke said. As long as they are not harming patients, there's no reason they shouldn't use them, she said. Tools such as mobile apps and devices could function as a sort of “physician extender,” guiding the patient through diet and physical activity changes—or otherwise reinforcing a physician's message—and providing feedback, she noted. Other challenges that haven't yet been fully tackled include practice redesign, new care delivery models that devices might require in order to have a significant impact, issues around licensure and reimbursement, and what can and can't be done across state lines, he said. As with anything that's new, some clinicians are excited about m-health, and some are skeptical, said Dr. Ommen. In fact, just the thought of uploading and evaluating a patient's blood pressure, weight, heart rate, steps, and recent diet can seem daunting to a physician, he said. “So we have to figure out how to summarize, synthesize that data and drill down to individual data points when it's needed or have care plans developed that can automatically react to it in a way that doesn't require human intervention but is equated to human intervention when certain parameters are met,” he said. Initially, m-health tools require more work for physicians, specifically because they will have redundant service offerings, Dr. Kvedar said. “We're at that early phase, where we still have a lot of face-to-face care delivery and we have connected health,” he said. Although clinicians are doing virtual visits and beginning to do more remote monitoring, the question remains of how to spread clinical resources most effectively. The future is in understanding how to use these data to know more about patients personally and be able to target health and wellness programs specifically for them, he said. An end goal of m-health would be to increase primary care physicians' panel size without any patients feeling neglected and without compromising the quality of patient care. This would be accomplished by replacing 1-to-1 care models with 1-to-many care models, Dr. Kvedar proposed.